If you’ve been living in a cave and are impervious to our relentless promotional efforts, you may have missed that our very own Jesse Wolfe will be appearing on Shark Tank this Friday night at 9:00 pm on ABC. 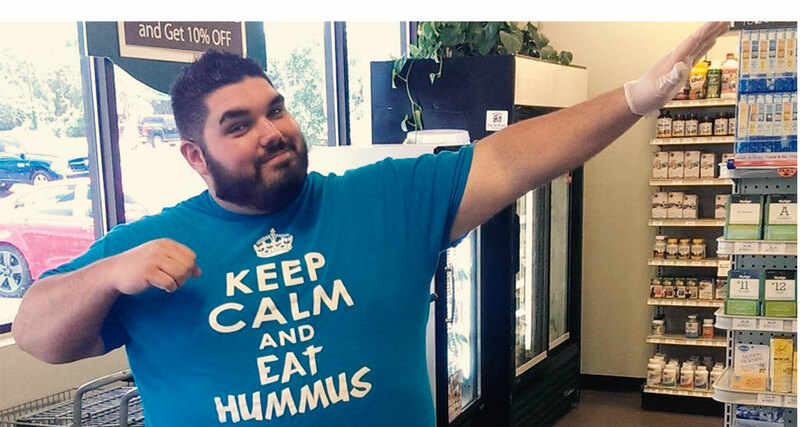 (Attend the watch party at the Student Union starting at 8 p.m. that night – more info on that here). .
Jesse has been whipping up the best hummus you’ll ever eat for the past few years. His products are creative, low calorie and better for you than the competitions. (This by the way is how you get to the one.) I’m especially partial to the Sweet and Spicy Black Bean variety and his innovative hummus-based salad dressings will be appearing in a Publix near you soon. You can check out his company by clicking here: O’Dang. Jesse’s story is one of persistence: He finished third in the Joust a few years ago, but kept plugging away in the Upstarts Accelerator. If you walked into BA1 anytime over the past year, you probably saw him and Ryan working away in that space. Then he managed to be the highest placing student venture at the first Blackstone Launchpad competition in New York City this year. His social media campaign brought Publix’s website to its knees, but they originally turned his product down. He didn’t take no for an answer. I’m guessing it won’t be long before he has both his dressings and hummus in their stores. Ultimately, Jesse wants to ” be the Ben and Jerry’s of hummus and change the way people eat in America.” I wouldn’t bet against him. When he steps before the sharks on Friday, he will be representing a number of UCF student entrepreneurs who have benefited from the Center for Entrepreneurial Leadership, Blackstone Launchpad, Joust and alumni mentors like Steve Felkowitz. It is also worth noting that Jesse will be appearing on a show produced by Clay Newbill, an Emmy-Award winning alum of the Nicholson School of Communication who provides two Hollywood internships to UCF Radio/TV students each year. So, there’s lots of reasons for UCF to celebrate Friday night. As 9 million viewers tune in to watch Jesse swim with the sharks, we will be hosting a party in the Student Union beginning at 8 pm to see if he takes the deal. Somebody pass me the BOMB-A-LICIOUS! I heard this comment from a number of alums on our recent trip to Palo Alto. Most of them were referring to football, but a couple were also commenting on our recent U.S. News ranking as one of the most innovative universities in the country. Stanford was #2 in that ranking, we were tied for 13th with Georgia Tech and USC. We have indeed come a long way baby. 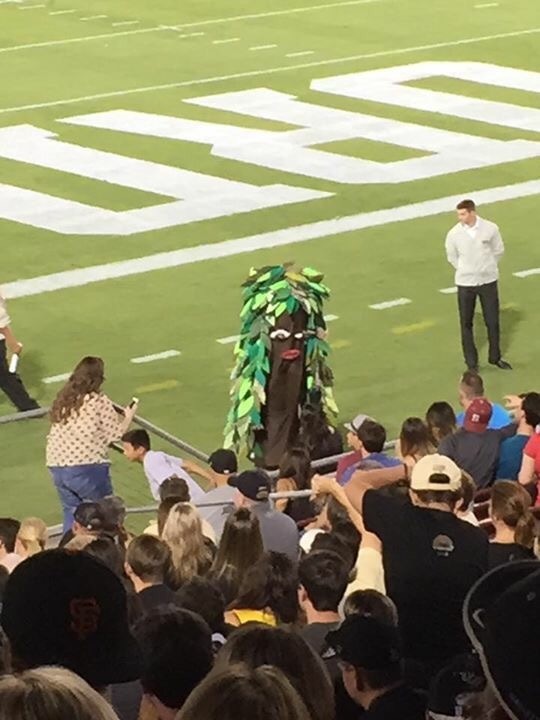 The key difference between us and “the tree” (BTW, this is what happens when a faculty committee comes up with a mascot) is that while we hope to win, they expect to win. Expecting to win because you think it will be easy is arrogance. Expecting to win because you know you are better prepared for the hard challenge ahead is confidence. Having the vision to see where things are going before the competition and executing the right game plan is victory. Vision, creativity, preparation, and a commitment to execution: The same formula applies to the football team, the faculty, and the student body. It’s how you learn to beat the tree. This is an unusual post for me. It is about how my wife Suzanne defies expectations, the reactions that follow and how proud I am of her for being different. I’m posting it here, because I think it provides a good lesson in how to handle what happens when you take Seth’s advice to “be weird”…. This adventure started with a Groupon. Seriously, one day she was running marathons and the next she was a gym rat. An addictive personality maybe, an adrenaline junkie probably, a headstrong woman certainly. So when Jim got her to change her approach to achieving her goals, I took note. Like most things with Suzanne, when she’s “in”, she is “all in”. Not too long into this thing, she was organizing a team (you haven’t been organized until you’ve been organized by Suzanne). The MissFits were born, complete with their own website, eye-catching outfits, badass attitude and blog. 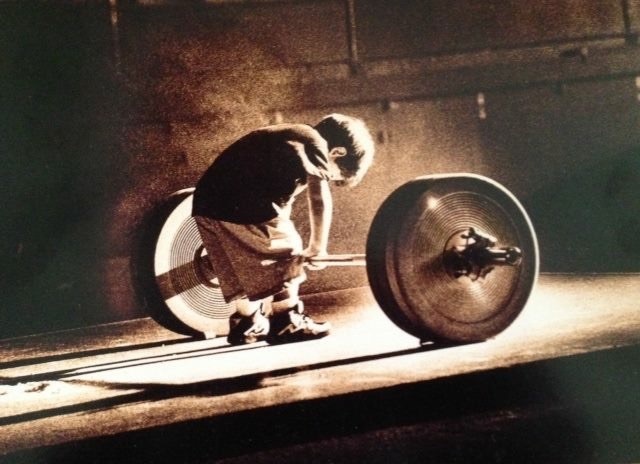 For me, the first sign that adopting the powerlifting lifestyle was going to be a family experience came when we went out to eat. Ordering at restaurants became an ordeal. I recall a meal where she substituted everything on the menu offering except the meat. After ten minutes, I just ordered the number 4 and handed the waiter my menu. He nodded and smiled in appreciation. I left a big tip. Soon I learned there is a whole powerlifting culture, complete with its own cuisine, attire, language and rituals. Like all cultures it seeks to include by excluding: if you don’t know the rules, the lingo, and the icons, you can’t participate. And like all tribes, it has its devotees and crazies. Like the 1500 people who watched a video of one of my wife’s lifts including the weirdo who posted it to a dark site with the caption “watch the hottie who can lift a ton.” Apparently, in some twisted minds there is weightlifting voyeurism. Things like this could unnerve you, challenge you to keep pace, or both. But it serves as an important lesson for MissFit spouses– how you react to all of this is your choice and not your MissFits’ burden. They are just doing what they love. When it defies expectations, it’s always going to make someone uncomfortable. Uncomfortable people do odd things. I have witnessed self-proclaimed straight women in restaurants come up to Suzanne just to tell her how beautiful she looks and men in outlet malls ask her if she beats people up for a living. Some people want to arm wrestle her. Others ask her to flex at her kids’ soccer practices. And of course there are the “why aren’t you bulky?” comments. The truth is, Suzanne looks great in a dress or a singlet. This same woman can charm 700 guests with her grace and wit as hostess at a College event and then cheer on Ronda Rousey at 2 am in a bar. She can drive Spencer and Isabella to endless soccer practices and games then still find time to come to Florida to be my wife. She is laser focused in all she does, but somehow is the only person who can ensure that I don’t take myself too seriously. It just so happens that she also kills it in the gym, lifting way more weight than most men. To an outsider, the MissFits may look like a contradiction–they defy stereotype –but to those of us who live with them, they are strong, beautifully complex women. I, for one, wouldn’t have it any other way. Labor Day weekend is soccer-mania for us. 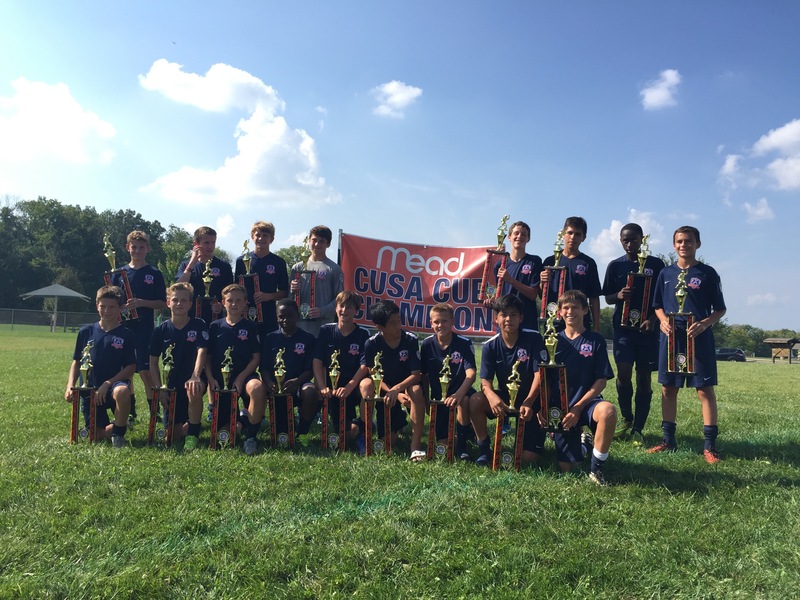 It’s called the Mead Cup and it brings together elite teams from around the Midwest. 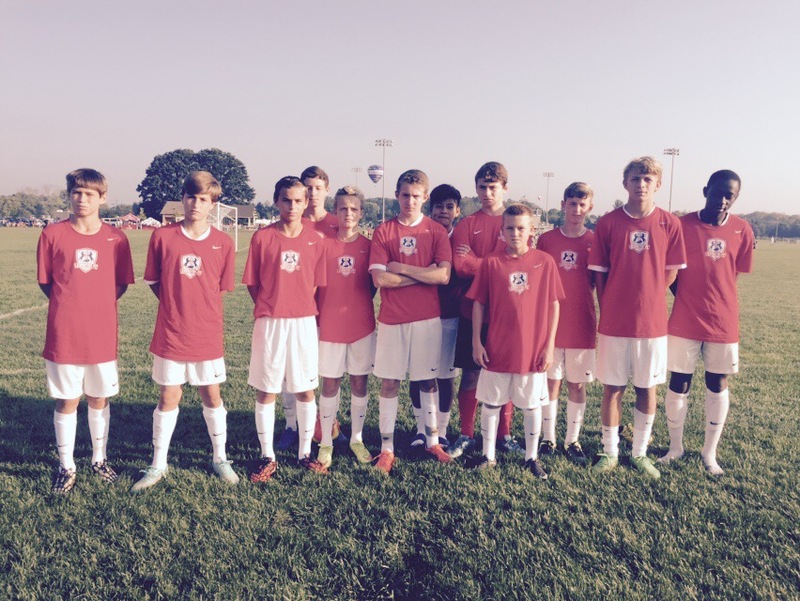 The tournament gives you an opportunity to measure yourself against serious competition early in the season. If you want to be in the game, you have to be willing to face the best and risk failure. Going undefeated against the local competition is just the illusion of success. It’s not about winning, it’s about getting better and the satisfaction that comes from knowing you left it all on the pitch. They brought home the title.